This page gives information on the NCS study material which has been produced for teaching and presentation of the Natural Colour System. Click on the images for more information. The exercises shown here are part of a range which can be bought individually in A4 size or as a set of 25. Please click the link above to see and order the individual exercises. Full set of 21 demonstration size colour exercises for poster size 50 x 70cm. Note: Posters can be enlarged from A4 size by yourselves or can be supplied full size at extra cost. Or click the link above to see and order individual demo exercises. A digital version of the NCS Teacher's Guide can be ordered FREE from NCS Colour AB, Stockholm (www.ncscolour.com). Tutorial information for the teaching of NCS, including assistance to all NCS exercises has been compiled by Grete Smedal, Professor of Colour Design. The texts contain basic colour theory as well as ideas and suggestions for teaching activities and creative tasks. The associated colour exercises which are shown above can be bought online individually or as a complete set (see NCS Student Exercises). Most exercises are available at Demo size. Please contact us for further information. 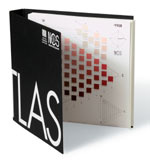 The NCS Atlas, NCS Palette and NCS Publications located in the main NCS Product Guide would also be useful for teaching and presentation. We offer a 10% discount on these NCS products to educational establishments for training purposes. Individual exercises which train the student to recognise and work with a range of colour attributes. For each exercise there is a diagram with instructions and a packet of loose colour chips. The diagram shows where and the instructions explain how the colour chips should be arranged. All prices are in GBP and exclude VAT.